When I noticed this book, by Conn Iggulden, was to be published on 4th May, I was worried. I have written a book and am looking for a publisher. It starts in 937, Dunstan appears in it, although he is not the main character. How would it affect my own book? I had to check out the opposition. As you can see from the blurb, the book is about Dunstan, Abbot of Glastonbury, Bishop of Worcester and London, ultimately Archbishop of Canterbury – and Saint. He lived through the period when England moved from a collection of minor kingdoms to the country it is today. Some might say this process began with Alfred and completed by his grandson, Æthelstan. Dunstan played his part by reforming the church. It takes a strong man to do this and the Dunstan we see in this book was certainly strong. I was reminded of the Thomas Cromwell we have met in the books by Hilary Mantel. Both are men from the lower orders. Both achieve high position by their own intelligence and hard work. Both are unpleasant characters who tell their own stories. Mantel’s Cromwell, however nasty, is understandable, even, at times, sympathetic, that is the genius of her books. In this book Dunstan is just plain nasty. 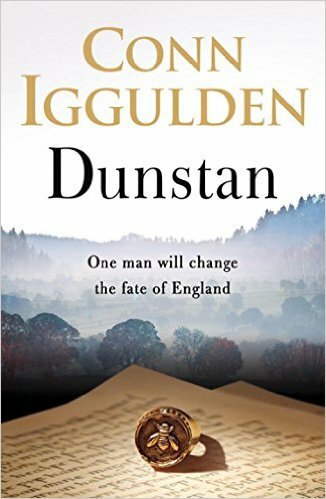 It starts, not in 937, but three years earlier, as the thirteen year old Dunstan is taken to Glastonbury by his elderly father. At the same time his younger brother Wulfric also enters the monastery, but far from looking after him, Dunstan despises his brother. Why? Because he thinks he is weak and Dunstan considers anyone weaker than him is there to be used. Despite Wulfric’s later business success, which mystifies Dunstan, he must drop everything to do his brother’s bidding. As every hero needs a flaw to make him human; a monster needs a spark of humanity to gain the reader’s sympathy. The Dunstan revealed in the book has none. I should rejoice that a ray of light has been shone upon this period. The late tenth century has been comparatively neglected, perhaps because of the lack of major battles, and Dunstan’s is a story that has been waiting to be told. 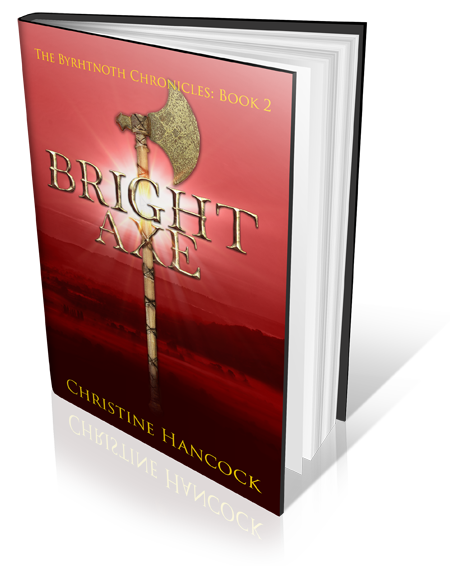 I have read a lot of books set in the Anglo-Saxon period. Most, good or bad, give a flavour of life at that time, this one doesn’t. It could almost have been set in any period. The author prides himself on the depth of his research; the first person he thanks is his researcher. So why are there so many errors? At one point someone arrived in a pony and trap – yes, there were horses and various types of cart but the expression suggests something other than this period. Elsewhere, someone is searching the crowded streets of Winchester for a girl. He cannot spot her bonnet. Bonnet? Is this a time slip novel and Jane Austin has found her way into the tenth century? Later someone, still in Winchester, looked “up the high street to the cathedral spire in the distance, dominating the city.” Winchester does not have a spire today and, I must admit, I had to look it up, doesn’t appear to ever had one. I was particularly interested in one event – the death of King Edmund. It forms an important part in my own book. It is described in the Anglo-Saxon Chronicle. There are not many exact dates, or even places, for events that can be identified during this period. St Augustine’s day is 26th May and Pucklechurch is easily found. So why, in this book, does this important event take place on All Hallows Eve (31st October) and at Winchester? There seems to be no reason to change it. Dunstan then says that Eadred was crowned in May 946 (it was August 16th, that year). If such facts, that can easily be checked, are incorrect, how can we trust the rest of the story? I suppose the ordinary reader will not care about these details. It covers most of the events of St Dunstan’s life. It gives plausible explanations for the “miracles” performed by him. It has the usual replacement of personal names by more “understandable” versions, although I was a bit distracted by “Beatrice” – apparently a version was around at the time, but, to me, it sounds anachronistic. Apart from the errors, it is well written. At 480 pages I finished it in two days. Two days when I could have been writing. I managed just over 4k words this week before I switched to reading about Dunstan. Am I being unfair, because it doesn’t fit with “my” version of the period? I hope not, but I was glad Byrhtnoth wasn’t mentioned in this book – favourably or otherwise. I’m sure that if I didn’t know the period, I would have liked the book. I remember reading and enjoying the author’s Emperor series about Julius Caesar and then reading several of the Conqueror series. I didn’t read them all, I’m not sure why, perhaps I wasn’t interested enough in Genghis Khan etc. If you want an interesting read about a neglected historical figure, buy the book. If you know anything about Anglo-Saxon history avoid it. ← Back to work, but is it too late?